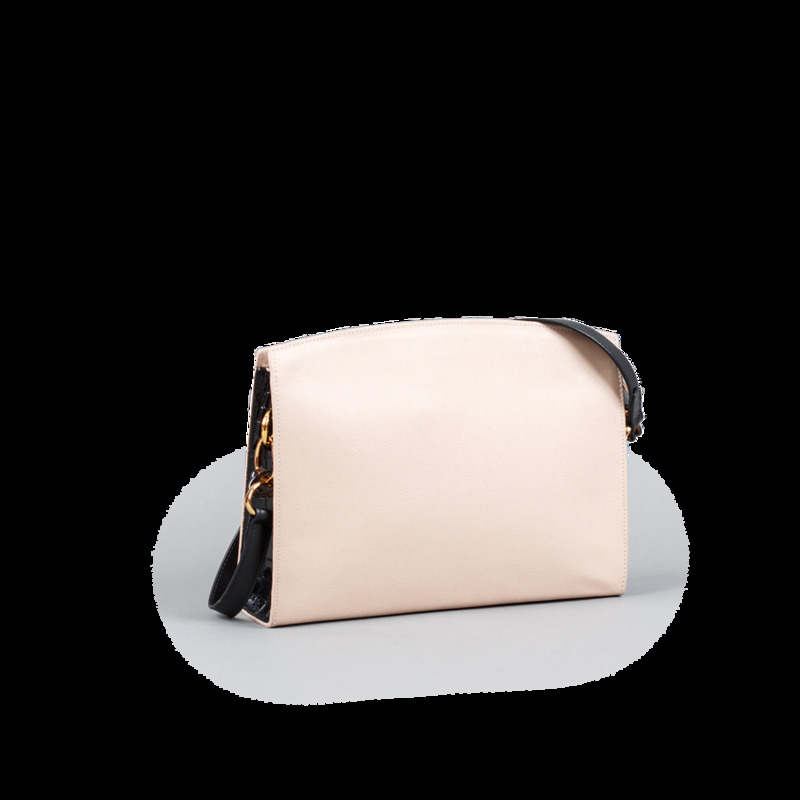 Leisure Bag in Day and Night from Lizzie Fortunato. 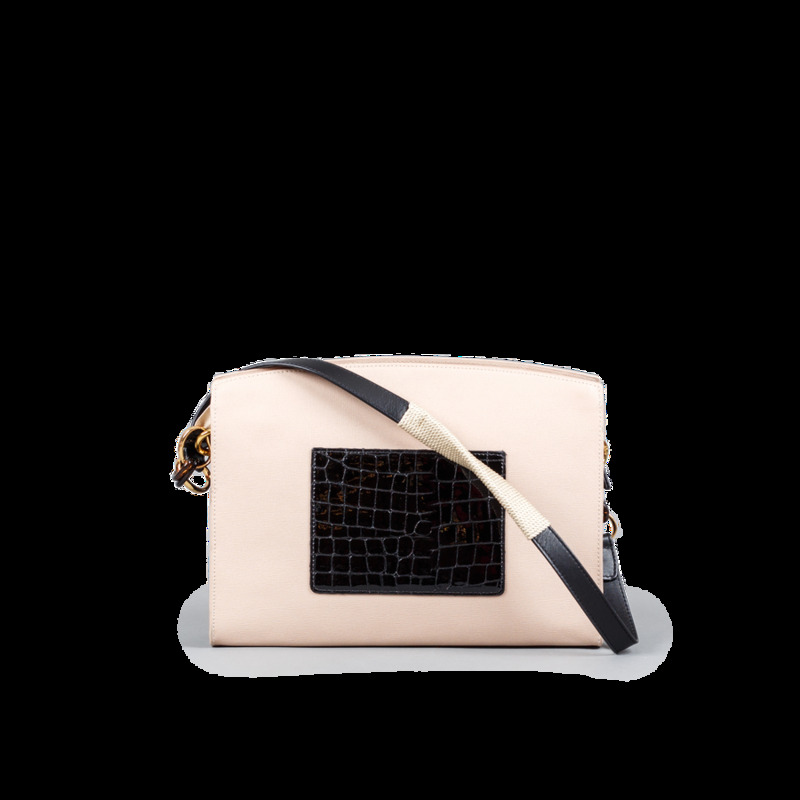 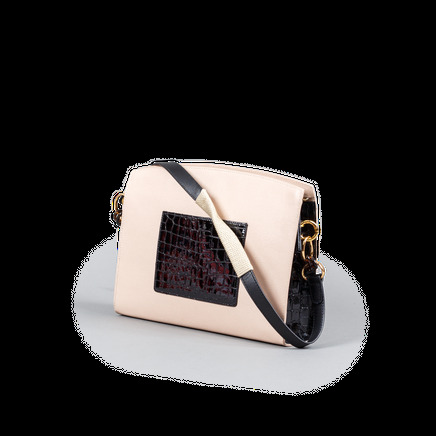 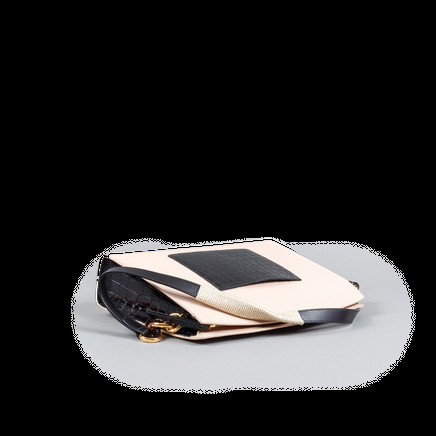 Large textured leather shoulder bag with cream front, hand-painted edges, black patent croc gusset, flat pocket, and detachable leather and cord strap. 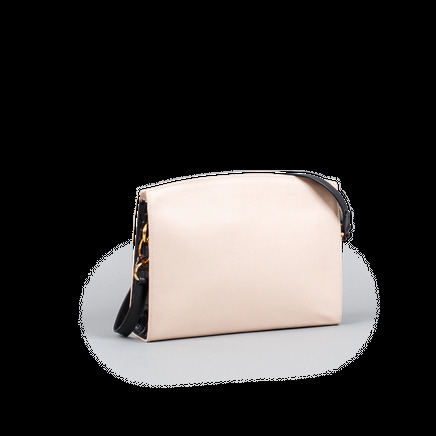 Gold plated brass details.